Baby wipes are the most essential product for me. Baby wipes can be a most convenient and quick way to get your newborn or baby or toddler clean and keep them comfortable and refresh all the time. Even in a hurry, they are really ideal to clean up a mess. I am blessed with a baby recently and my daughter is 1 month old so I prefer to use products with least of chemicals. 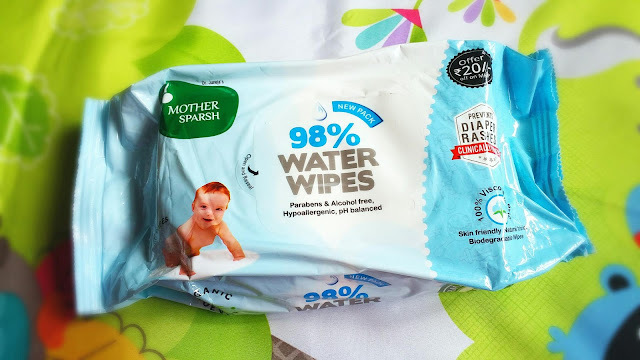 Recently I introduce Mother Sparsh water wipes for my both child. I read very positive reviews on the different website so thought of trying it and these wipes are really buzzing these days. In today's post, I'm going to share my experience with 100% Plant Based Fabric Wipes for Baby from Mother Sparsh. So let's move on to the details. Mother Sparsh understand your concern about baby’s health & hygiene so especially for your baby’s delicate skin, we have designed 98% Water Wipes - as good as pure water & cotton that provide gentle sparsh to your baby hence keeping your baby comfortable, happy & smiling. Our wipes are developed under expert’s supervision and contain quality ingredients that gently cleanse your baby’s supple, soft and delicate skin without causing irritation, uneasiness, allergy, and infection. Mother Sparsh Water Wipes are “Proven for Preventing Diaper Rashes”. 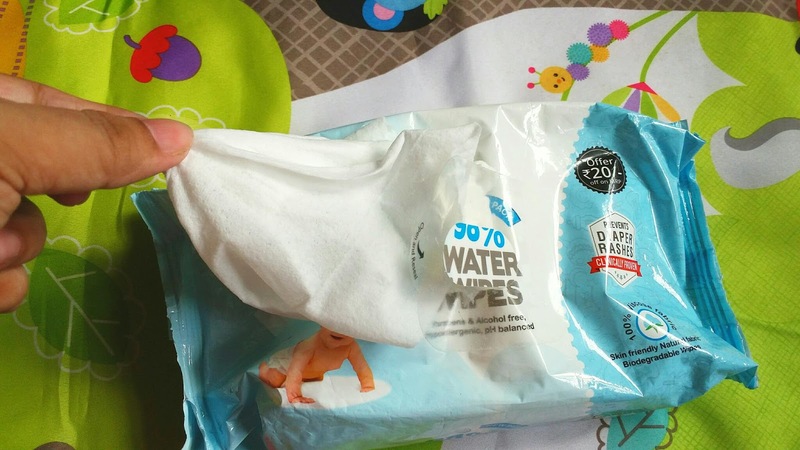 So far, I used two types of wipes for my son, lotion based and water based wipes. Lotion wipes contain chemical extracts that may cause harmful effects on babies skin whereas water wipes are purely based on pure water and they performed well without any side effects. Since 2016 I have used different wipes from the different brands and honestly, I found them very soapy and with strong perfumed. Also observed those wipes are made with polyester that might be causes rashes and redness on the sensitive skin of our kids. After a few uses, I noticed that these Mother Sparsh Organic Water Wipes much better than any brand available in the market. Why not these Mother Sparsh Water Wipes are formulated specifically for super soft and delicate skin of our baby. I have been using these wipes on my both child for the past two weeks. These alcohol-free wipes contain aloe vera and vitamin E so your baby's skin will be nourished with each wipe. The wipes are made with skin-friendly natural fabric which is super soft, so I use them on my son's face when he gets messy on mealtime and they provide very safe and effective cleansing. These wipes are dermatologically tested which makes them very effective in preventing allergy, redness & rashes in little ones. The presence of 98% pure water makes Mother Sparsh baby wipes as good as cotton and water and these wipes are totally nonsticky and nonsoapy which I like most. So Mother Sparsh Organic Water Wipes are a safe solution for babies with super-sensitive skin and that makes them unique and they are different from other wipes brands of India. I'm sure this baby wipes meet your taste. Just check the ingredients list on the back of the baby wipes package, you can easily identifiable stuff, such as Purified Water, Aloe Vera extract & Jojoba oil more on. These moisturizing wipes will eliminate impurities on your baby's bum and leave skin feeling silky smooth and very refreshing. 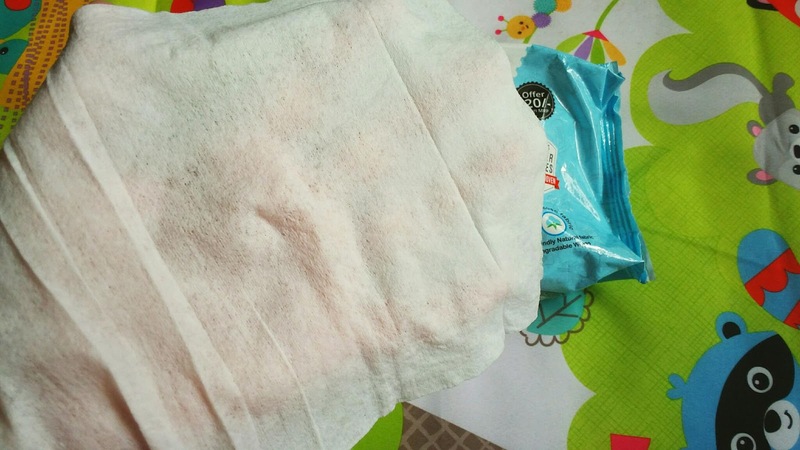 These Wipes are 100% biodegradable which makes them environment-friendly too. Mother Sparsh is no doubt a better wipe now available in India market. Seems like a perfect baby wipe. These are amazing. My little baby niece and me, we both have been using these for quite a while now and absolutely love them. Wow There is a brand who has thought about this issue as well . I really liked the idea of natural whipes with no chemical and no irritant. Delicate and sensitive baby skin is safe with these whipes. I have read and seen many testimonial videos about the quality and water content, which is a very good reason for mothers to prefer this brand. Sparsh baby wipes look good. Anything organic food s safe for kids. 98% water content is great.